In 2017, sharing a deep passion for helping women in fast-paced, creative cultures thrive, we set out on a mission to turn conventional mentorship and learning and development programs upside down. We wanted to create a progressive program that addressed the whole woman and brought important topics to the surface. Topics like authenticity, confidence, and work-life balance. 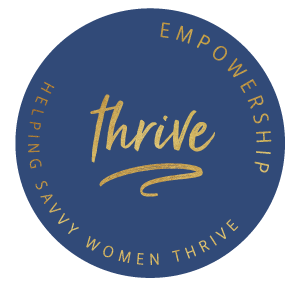 Through Chelsea's Thrive Project research, conversations with human resources professionals, and our own experiences, we discovered these were the topics that truly moved the needle when it came to thriving as a woman, yet are typically missing from standard professional courses and seminars. Chelsea Szabo is a life and career coach for professionals who are ready to experience sustainable fulfillment in their personal lives and careers. Her 10-year journey as a sales and advertising pro at The Walt Disney Company coupled with her extensive experience as a sought-after coach for upper-level executives at companies like Yahoo, Experian, Shazam, and AOL have given her a unique perspective and passion for helping women who feel overwhelmed finding balance and fulfillment in life and work. Chelsea is accredited through the International Coaching Federation (ICF) and is a certified Energy Leadership Index ™ master practitioner. After a 20-year advertising career in creative services, management and HR at great companies like Y&R, Oakley, and Innocean USA, Cecilia Gorman knows what makes a great agency and extraordinary leaders. Her company, Creative + Talent + Partners, focuses on developing employees of creatively-minded companies to their optimal potential. A certified John C. Maxwell trainer and speaker, Cecilia specializes in teaching, coaching, and mentoring employees in fun, interactive, and impactful ways that leave audiences feeling understood, reflective, and determined to apply what they've learned. She has the unique ability to get to the root of culture issues and help companies course-correct with greater ease. You'll also get exclusive content, event dates, and resources right to your inbox!